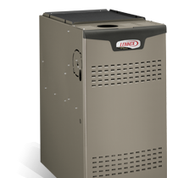 Furnaces are a critical component of comfort for your home or business. This is especially true in the Chicagoland area. We all know just how cold our winters can get. Protect your home, business, and loved ones when cold temperature hits. Our expertly trained and certified heating technicians are available 7 days a week and provide FREE estimates on all heating systems. We offer maintenance programs, furnace repair services, as well as new furnace sales and installation. Keep your heating system running efficiently and consistently. If you find that your heating system is not keeping up with the frigid cold weather, or you are experiencing excessively high utility bills contact the experts at Airmaker Inc. Just like any other piece of machinery your furnace needs regular maintenance to perform at optimum levels. Furnace clean and checks or tune ups are an affordable yearly service that can provide numerous benefits to your home and your wallet. Did you know that having regularly scheduled yearly tune-ups on your furnace can help with the following? Save Time, Money, and Energy: Having a clean furnace actually helps it operate more efficiently. This added efficiency can actually save you money as it will use up far less energy than one that has not been properly maintained or is dirty. Prevent Breakdowns and Increase Your Furnaces Lifespan: Did you know that an estimated 90% of furnace breakdowns can be traced back to a lack of regular maintenance. Protect your family or business from the aggravation and cost of a heating system breakdown. By having proper maintenance you can actually extend the lifespan of your heating system, saving you time and money. Our NATE certified maintenance technicians will are able to clean, oil, and inspect your system regardless of brand. We can service all brands, makes, and models of furnaces. In the unfortunate event that your furnace needs repair, you can depend on the fast and friendly service of Airmaker, Inc.
Fast & Friendly Service: We provide fast and friendly furnace repair service 7 days a week 365 days a year, even on holidays! We Service Your Area: Airmaker, Inc has been serving the furnace repair needs in your area for over 30 years! Always Fair Rates: After diagnosing the furnace, your technician will verify the repairs and cost before he performs the work. There are never any surprises at the end of the service! All Makes and Models: Airmaker, Inc. can and will repair any furnace regardless of make and model! Quality Service: We stand proudly with our accreditation and A+ rating from the Better Business Bureau. When you work with Airmaker, Inc you are working with highly trained and knowledgeable HVAC specialists. It is widely known that the average lifespan of a furnace is between 15 and 20 years (with proper maintenance). If you find yourself dealing with an underperforming, frequently breaking down, or simply an old furnace contact us today. Our highly trained heating specialists will perform a free home comfort analysis and provide you with their heating system recommendations.